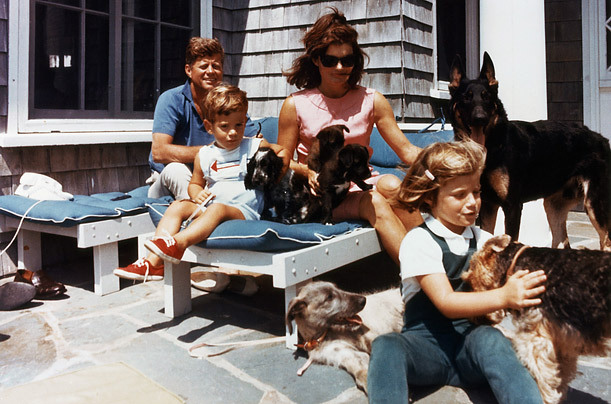 Dog lovers all, the Kennedys built a special play area near the West Wing for their children and the family pets. J.F.K. was the first President to request that his dogs come out to meet the presidential helicopter when he arrived at the White House.